Here at Charlotte Van & Storage, we are a family-owned and operated business, but we know we can’t do it all on our own. We've grown a lot over the years! Today, we manage a fleet that includes 12 tractors, 34 trailers, 11 trucks, and 5 pack vans. We can’t do it all by ourselves, so we’ve reached out to the community and hired some really great people since we opened our doors over 60 years ago. We like to honor our best Charlotte movers because we recognize that we can’t keep our company moving without their help. This year, we’d like to honor Dawayne Perry with our Employee of the Year award! He embodies everything that the residents of North Caroline have come to expect from Charlotte Van & Storage. Our movers do it all with a smile on their face, including Dawayne Perry, who is regularly mentioned by customers for the high level of friendly service he offers throughout the moving process. We go above and beyond to put our clients first because we truly care about our community. That has enabled us to partner with some important associations that include The North Carolina Movers Association and the Southeastern Warehouse Association. We are also an agent for Mayflower. With this partnership, our friendly movers can conduct international moves with help from UniGroup Worldwide UTS. Professional recognitions are important to our business, and we know they are important to our employees too. That’s why we hand out the Employee of the Year award each and every year! 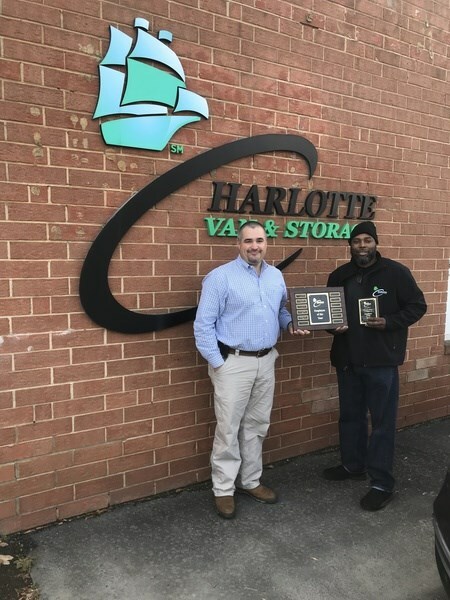 Charlotte Van & Storage is a top moving company in the area because we have dozens of employees like Dawayne Perry who care about providing the highest level of service to residential and commercial customers. If you’re ready to plan your move, give us a call or fill out our online form and we’ll get you started with a free quote!